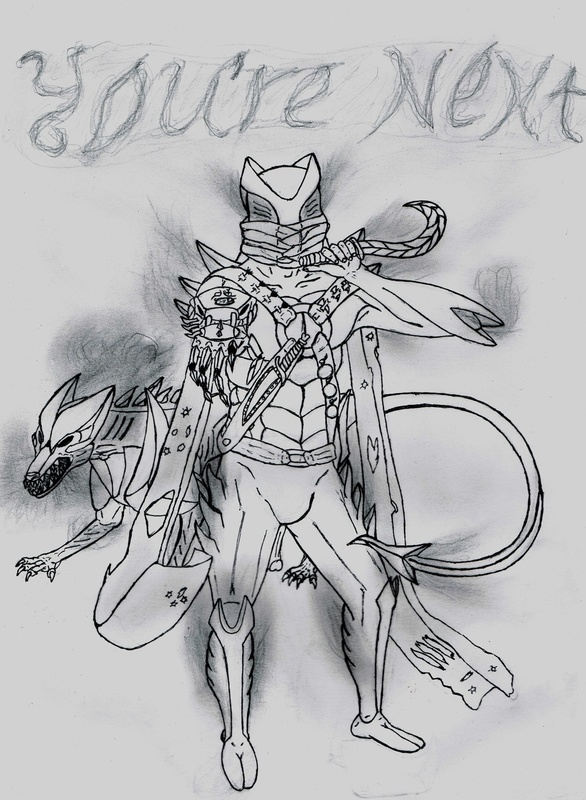 That's a concept design of a "Elite" warframe, named Shadow Hunter. He has an ability to skulk in shadows all the time by producing smoke from the little slits placed at various spots on his body. He's mute and thus he uses that very smoke to speak, creating words out of it. An assassin, as ancient as Shogun, has rumors about him for being once only friend of Stalker, that turned his cards on Teno clan and now hunt over Teno's wariors. Instead of sentinel SH has a pet - Shadow Hound. That half cybernetic dog produce same kind of smoke by its body to sunk in the dark and kill its preys silently. Hound is incredibly fast and flexible, his fangs are razor sharp and bite force may crush even Rino's armor with a bit of effort.